Fairfax Co. Police Officer's Suicide Sparks Change in Dept. 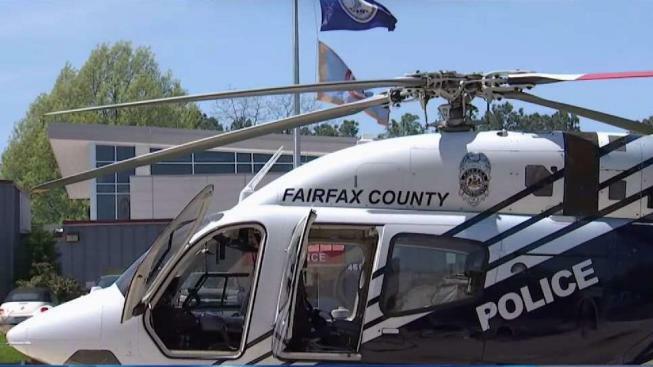 The suicide of a Fairfax County police officer last year is igniting change within the department and highlighting the increased risk of depression among law enforcement officers. Mandatory suicide prevention training and greater awareness in the department aims to break down the stigma surrounding mental health issues and police officers. A Changing Minds project earlier this year prompted the officer’s family to share their similar story with NBC4. In March, an NBC study revealed new results on the stigma attached to mental health issues in fire departments. Jennifer Basham lost her brother, Tony Basham, to suicide Aug. 28, when he shot himself. The siblings joined the police department together more than 20 years ago. Tony Basham started as a detective and 2nd Lt. Jennifer Basham works as the chief flight officer for the helicopter. She and her brother called each other frequently to talk about different things that happened on the job. "We were actually a coping system for each other at times, because we knew each other could understand," Basham said. After losing her main support system, Basham finds it hard to talk about her brother's death. "It’s taking me a long time to even begin to come to terms with it, and so as I tear up, I’m just starting," Basham said, holding back tears. She said her colleagues in the helicopter unit have been a large source of support during this tough time. "I think there are changes being made in the department in a positive way to help others," Basham said. Police work is dangerous and stressful, but in Tony Basham’s case, no one knew how much he was struggling. The tendency to bottle up emotions is common for many police officers. "We have a tendency to normalize traumatic things, because if you don’t, you can’t get through it every day," Basham said. Basham said police officers are forced to witness horrific events and move on very quickly. Yet, ignoring these events could be part of the problem, she said. "You have to say that this is an issue," she said. Basham’s mother, Cynthia Basham, is also struggling to cope with her son’s death. "Police officer personality is that you can fix it and that you’re tough," she said. "Saying, 'I can’t handle it,' they feel like it’s a sign of weakness, when it’s really not," she continued. She also thinks a stigma surrounding mental health issues makes officers question how admitting their troubles will negatively affect their career. Since Tony Basham's death, the Virginia police department created a suicide prevention video, part of mandatory training for all employees. Cynthia Basham hopes their efforts will make people feel more comfortable asking for help with mental health problems. "Maybe another family won’t have an empty chair at the dinner table because they are actively going forward with support," she said. Obi-Wan Kenobi, or Jennifer’s new puppy, is offerring her some comfort, too. He was a gift from a colleague, who knew she was having trouble sleeping. Jennifer also started to see a counselor and she is encouraged by how much the therapy has helped so far. Even so, she said it’s a very long and hard journey ahead. "The thing that I wish my brother could have remembered was hope and that’s my goal for other officers, for them to always have hope that it will get better," she said.